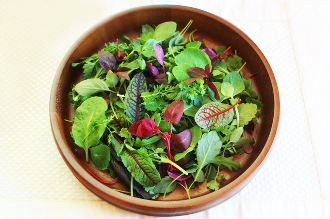 PetiteGreens Gourmet Mix is a unique mix containing at least 15 different herbs and greens. Amazingly colorful, flavorful and versatile combination which can be added to meats, poultry, and sandwiches. Creates a beautiful side salad!